The September 2016 Performance Report for the China CleanTech Index is now available. The best performing sub-indices for the month were the China Waste Index with a 1.9% loss. The two weakest sub-indices through September were the China Storage Index with a 7.7% loss and the China Solar Index with a 6.7% loss. 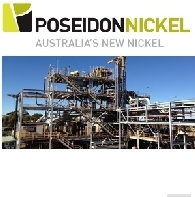 The month&apos;s performance was driven by 16 companies having share price gains of more than 15%. The greatest percentage losses were recorded by China Singyes Solar Tech. (0750.HK), Heilongjiang Interchina Water Treatment (600187.SS) and Trina Solar (TSL). 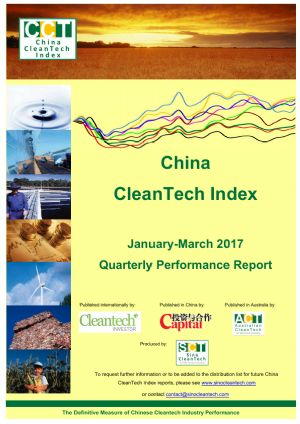 The China CleanTech Index outperformed two of its four benchmarks for the month of February 2016 and recorded a loss of 0.6%. The China CleanTech Index underperformed all of its four benchmarks for the month of January 2016 and recorded a loss of 23.3%. 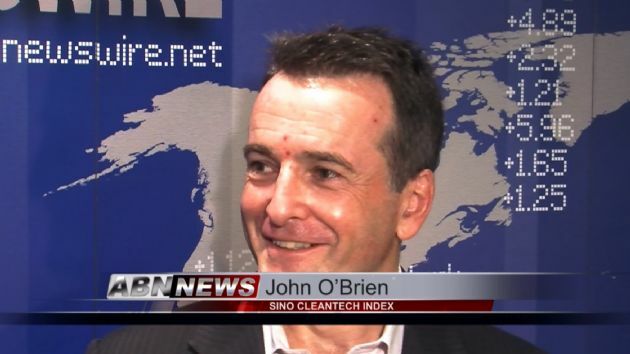 The China CleanTech Index outperformed all of its four benchmarks for the last quarter of 2015 and for the full year. In December 2015, it recorded a gain of 1.6%, over 4Q15 it gained 18.8% and over the full year of 2015 it gained 11.1%. The China CleanTech Index outperformed three of its four benchmarks for the month of September 2015 and recorded a loss of 3.1%. Over the third quarter of 2015, the Index recorded a loss of 24.0% outperforming only the Shanghai Composite. 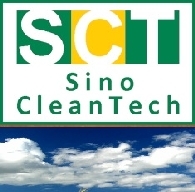 The China CleanTech Index recorded a very strong 8.8% gain in August 2014 and outperformed all of its four benchmarks. The best performing sub-indices for the month were the China Efficiency Index with a 13.0% gain and the China Storage Index with an 11.6% gain. The cleantech sector is fundamentally different to Socially Responsible Investments (SRI) or Environmental, Social and Governance (ESG) performance. SRI and ESG look at incremental improvements in company performance and can be seen as &apos;operational hygiene&apos; measures that find the best in class. Cleantech focuses on companies whose output positively enhances the communities and ecologies in which they reside. It is about doing &apos;more good&apos; rather than &apos;less bad&apos;. The China CleanTech Index rose from 42.56 to 45.34 over the month of November recording a 6.5% gain. This compared to the static NEX, the CTIUS gain of 2.4%, the Shanghai Composite gain of 3.7% and the MSCI gain of 1.6%. The China CleanTech Index rose strongly in May 2013 to continue its strong performance for the year. Over the month, the Index outperformed all but one of its four benchmarks. The China CleanTech Index fell slightly in April 2013 to consolidate some of the strong gains of the first quarter. Over the month, the Index outperformed only one of its four benchmarks. The China CleanTech Index rose from 37.6 to 40.2 over the month of February recording a 6.9% gain. This compared to the NEX gain of 2.1%, the CTIUS gain of 1.9%, the Shanghai Composite loss of 0.9% and the MSCI which was unchanged over the month. The three month gain for the China CleanTech Index now stands at 33.6%. The China CleanTech 20 also recorded a strong gain of 5.9% for the month.